A Texas angler on Monday spent more than two hours battling an enormous mako shark off Huntington Beach, and the catch will shatter the world record if it’s approved by the International Game Fish Assn. 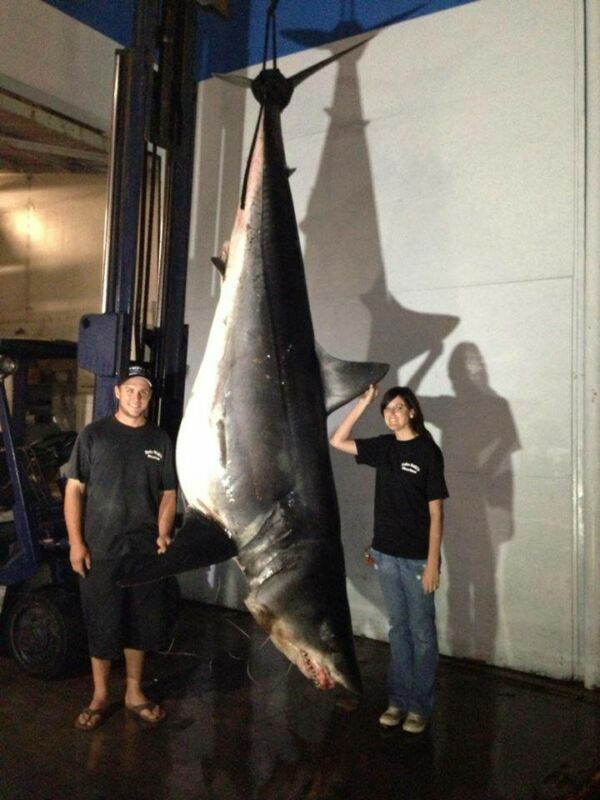 The shortfin mako, landed by Jason Johnston, measured 11-plus feet and tipped the certified scale at New Fishall Bait Co. in Gardena at 1,323.5 pounds. 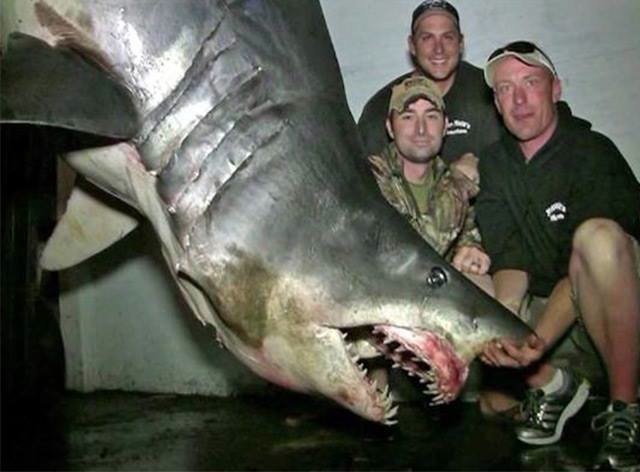 The current record is a 1,221-pound catch made off Chatham, Massachussets, in 2001. Johnston was fishing out of Breakaway Charters in Huntington Harbour. His group was fishing again Tuesday and could not be reached for comment. However, he told KTLA: “It’s unreal. This thing is definitely a killing machine. Any wrong step and I could have went out of the boat and to the bottom of the ocean.”Kent Williams, who owns New Fishall Bait Co. and is a state-certified weigh master, said Johnston adhered to IGFA rules. The shark as of Tuesday afternoon was in the freezer at the bait company. News of the catch is sure to generate controversy, especially since it looks as though the shark might have been pregnant. That could be the case, or the shark simply could have been feeding on sea lions or dolphins before its capture.